Budapest takes pride in its very well-developed public transportation network. Services are relatively cheap, so you should consider taking a bus, tram, trolley bus or metro when getting around the city. The Budapest Metro is the capital’s subway system. It currently consists of four lines, each with its own number and colour. There are three crossings: at Deák tér line M1 crosses M2 and M3, at Kálvin tér M4 crosses M3 and at Keleti pályaudvar M4 crosses M2. Tickets must be validated at the entrance, before taking the escalator, using the orange-coloured stamping machines, and should be kept until you leave the metro. At validation, the date and time is printed on tickets, along with information about where you boarded. Tickets are checked manually by inspectors, who often set up inspection points at stations near the escalators, but they may inspect tickets anywhere in the metro area, including on moving trains. Tickets or passes must be handed over to them on request. They wear blue or red armbands with a gold inscription, but they may only put on the armband immediately before conducting the actual inspection. Not all the stations of metro lines M2 (red) or M3 (blue) has yet been made accessible for wheelchair users or parents with prams, even recently renovated stations. There is a BKK app for wheelchair users that can guide those with difficulties into finding the best “flat route” to reach their destination. The last 3 stops on the M2 line are wheelchair accessible (Pillangó utca, Puskás Ferenc Stadion, Örs vezér tere).On line M1 (also known as the Millennium Underground or Yellow Metro) there are only three stations suitable for use by wheelchair users. All stations on Line M4 are accessible from the street level by lift. 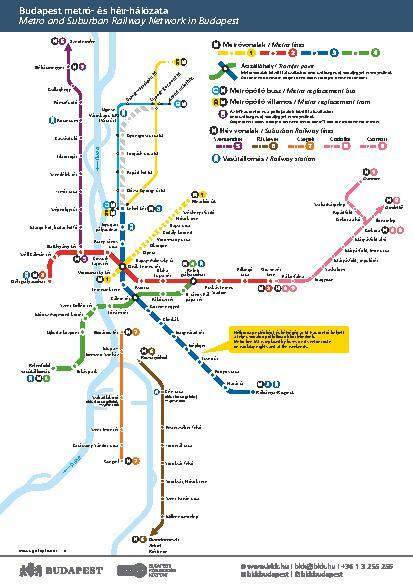 There are various types of ticket and travel pass available, with discounts on passes for full-time students and tickets specifically for the metro i.e. a short section ticket for up to three stops and a transfer ticket that allows you to take a journey that includes one transfer from one metro line to another. The Metro starts around 4.30am and the last train leaves the terminus around 11.30pm (differs from line to line). Rush hours are between 6 and 8am and between 2 and 5pm on workdays, when trains leave every two or three minutes. Early morning and night trains leave every 10 or 15 minutes. On Christmas Eve, trains usually run only until about 3pm, and there may be other breaks in normal service on other holidays (these are advertised beforehand). The service is usually extended on New Year’s Eve, to help party-goers get home. Although many of the main roads in the city centre have special lanes reserved for Budapest’s buses, they inevitably do sometimes get caught up in the traffic congestion. Buses may not always be the best solution for the journey to work at peak hours, but they are a wonderful way of getting to know the city. The regular public transport ticket is valid on buses. You’ll need a new ticket every time you change buses. Buses run from 4am and the last bus usually leaves the terminal around 10.30pm. A few lines keep running during the night. Timetables are given at bus stops. Tickets are valid on the entire length of bus, tram, trolley bus lines, metro lines, the Millennium Underground, and the cogwheel railway but are only valid on the suburban railway (HÉV) lines within the administrative boundary of Budapest. Passes are valid on the entire length of tram, trolley bus and metro lines, the Millennium underground, the cogwheel railway, but are only valid to the administrative city boundary on HÉV and bus lines. Click here for the whole price list. If you are not familiar with the city, taxis can be a relatively good value and easy way to get around the city. Taxis can use bus lanes, which can make journeys quicker during busier times but we still recommend considering using public transport for certain journeys. The fare to be paid is the sum of the initial fare, a per kilometre charge and a fee charged for idle time, should it apply. A tip is not included and it is customary to add 10% on to the total fare, if you are satisfied with the service provided. The list of fares is visibly displayed on the back door of the cabs, and there should be a list of the conditions of carriage attached to the back of the front seats of the taxi. Be warned however, the standard of quality for taxis in Budapest is not well policed and there are many unscrupulous taxi drivers who have their cars decked out to look like registered quality taxis but which in fact have meters that seem to have a mind of their own or might take unsuspecting tourists for a longer journey than they actually need. The old rule still applies therefore, always call a reputable taxi firm and wait for the taxi to arrive. Do not hail a taxi in the street, it’s just too risky. Almost all expatriates’ first experience of Hungary will be their arrival at Liszt Ferenc International Airport. This is a modern facility, though Hungary’s aim of being a regional transport hub was somewhat damaged by the collapse of the national airline, Malév, a few years back. The slack has mostly been taken up by budget airlines like Ryan Air and Hungary’s own Wizzair. The airport is made up of terminals 2A and 2B. Terminal one was the original passenger terminal but is now only used for cargo traffic. Principally, terminal 2A handles routes to Schengen Zone countries and 2B handles flights to non-Schengen destinations. However, as is so often the case in Hungary, things aren’t quite that simple so it’s best to check from which terminal your flight departs from or arrives into. By taxi: Fő Taxi is the dedicated service provider for the airport. Their tariffs are the same as any other company but they have the best access to the airport and ordering a taxi is easy from the little booths outside the arrivals hall of both terminals. Taxis from other firms can be ordered as usual at the airport of course. By minibus: Like most airports, Budapest Airport also operates an Airport Minibus shuttle service. Passengers are taken to their previously agreed address by minibuses with 8 to 11 seats. 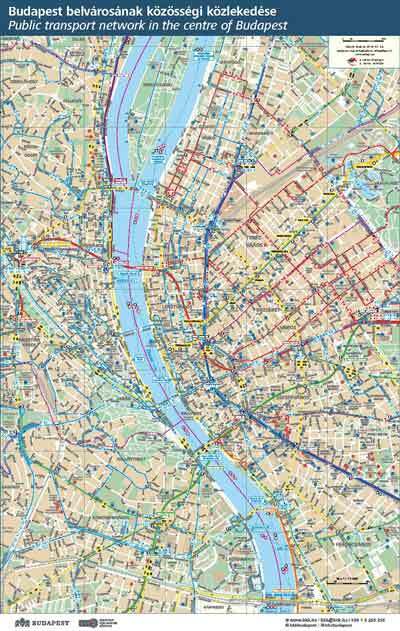 Multi-lingual drivers know Budapest and its traffic very well, generally taking the simplest and fastest routes. The minibuses are in direct contact with the airport, meaning passengers can ask for information about their outward-bound flight on the way to the airport. 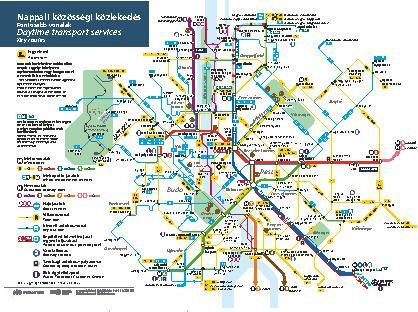 By metro and bus: Budapest Airport is also relatively accessible by public transport. Passengers are taken by Bus 200E, a direct bus service to Kőbánya-Kispest M3 metro terminal. This service adjusts very well to passenger traffic at the airport. The buses are deliberately large, so large items of luggage can be transported. The service operates frequently and for long hours, providing a link between the city and the airport even after midnight and at early dawn. The blue Metro Line M3 can then get you to Deák Ferenc tér in the city centre. The entire journey takes around 45 minutes. By car: The airport can be reached in about 35 minutes from the city in good traffic conditions using what is known as the airport high-speed road. The M0 also serves the airport and can sometimes be better in terms of avoiding a journey through the centre of the city. Parking is plentiful at the airport, both for long and short-term stays. Be careful with parking outside the departure area of the terminal buildings though. Cars are charged after the first 5 minutes and rates are high, even by western European standards.